Did you know that most of the plastic in the ocean comes from rivers? And that most of the plastic in rivers come off the land— much of it through the stormwater system? Stormwater carries anything on the surface of our roads and sidewalks into rivers and streams. That includes pollutants like oil, gas, detergents—and trash. In other words, if you’re wondering where the trash in the river came from, look to the streets. So where are the main sources of Mystic River trash? 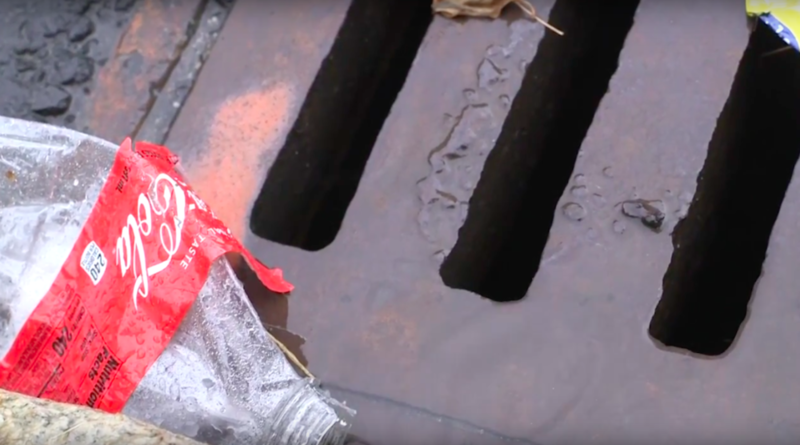 Funded by an Environmental Protection Agency (EPA) grant, the Mystic River Watershed Association conducted two studies in 2018 to study the sources and composition of trash in our watershed. In the first study—a Visual Trash Assessment (VTA)—more than 30 volunteers went out to catalog trash densities in various pre-designated areas in the watershed, recording data as they went. They covered more than 10 miles of road. Next, we overlaid this trash data with land-use data to determine what kinds of landscapes contribute the most trash. Each path in the map was assigned to a category. Then we averaged the grades for all segments within each land-use type, weighted by distance. The table to the right shows the results. And they are interesting: Residential areas with houses tended to contribute less trash than commercial and industrial areas, and areas with apartment buildings (high-density residential). (The four most common land-use types are highlighted in the table.) We can use this data to advise municipalities on where the best bang-for-the-buck would be in terms of management practices--from increased street cleaning, to more trash cans, to outreach to local businesses and residents. In as separate study, on Earth Day 2018, we set out with 50 volunteers to collect, categorize and remove trash from Torbert Macdonald Park in Medford. In just over an hour, we were able to collect almost 80 pounds of trash! Thanks to our dedicated volunteers, we counted and categorized half of this trash. We broke the trash into almost forty categories; first based on material (paper, glass, metal, plastic and other), and then further into uses such as water bottles, food packaging, cigarettes, etc. Overall, our volunteers counted almost 2,000 discrete trash items. Below is a breakdown of some of the interesting finds. Plastic was the predominant material found. Food and drink-related plastic was most common. Neither result is surprising, perhaps, but it will help us in our efforts to inform the public and inform management practices. All of the data collected in these events and others will be used to gain a better understanding of where river trash is coming from within the watershed, allowing us to develop location-specific plans to prevent future trash from entering the Mystic River.